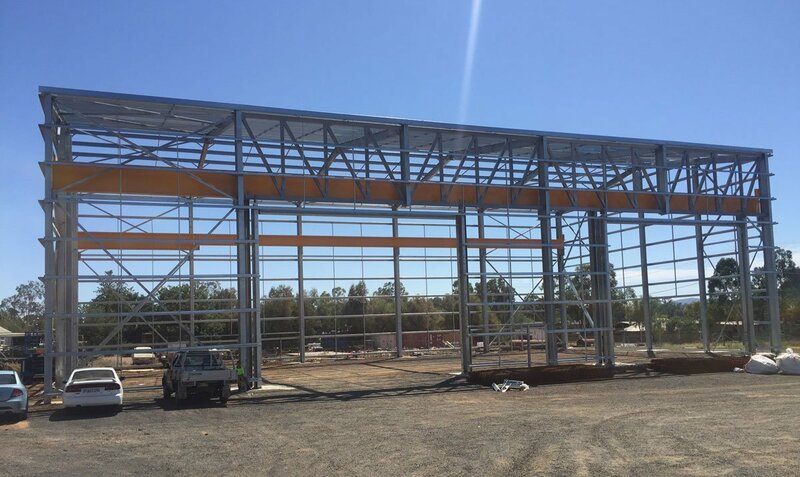 The building was designed and engineered to allow for oversized machinery and equipment, in particular from the mining industry. 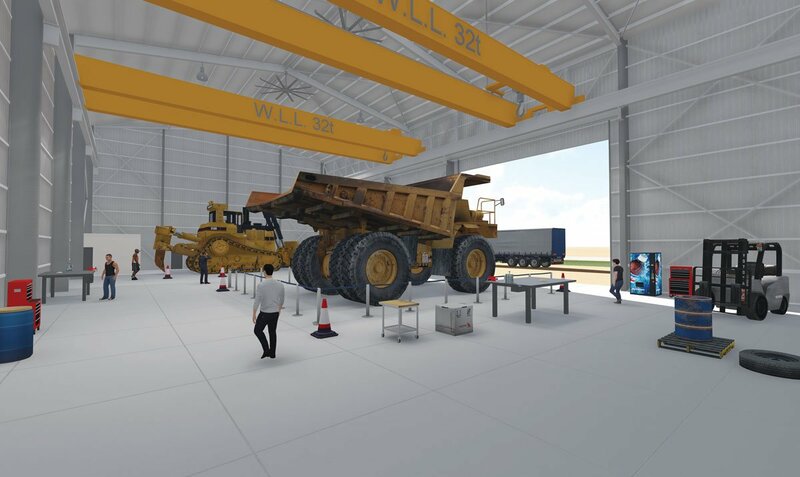 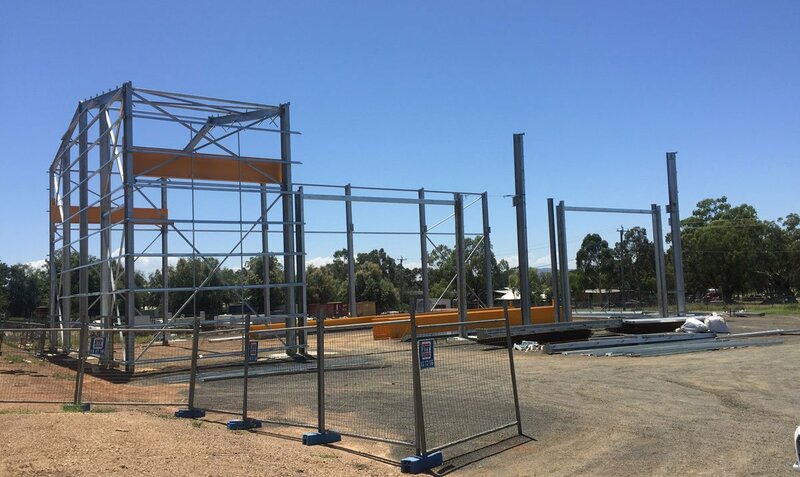 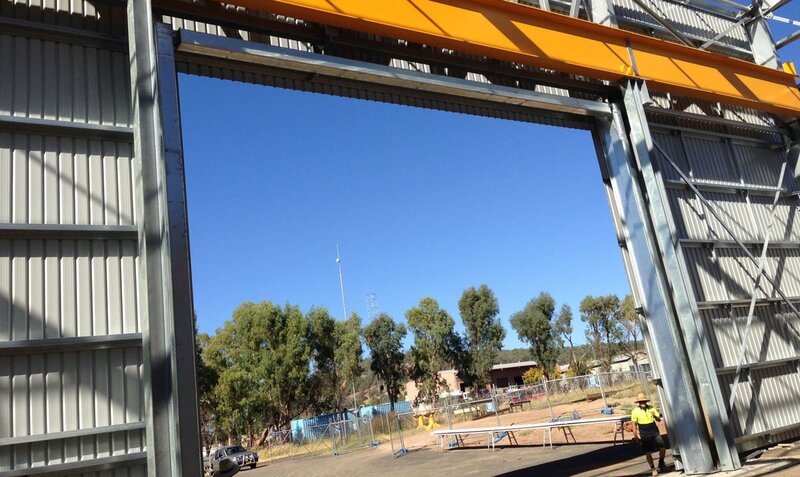 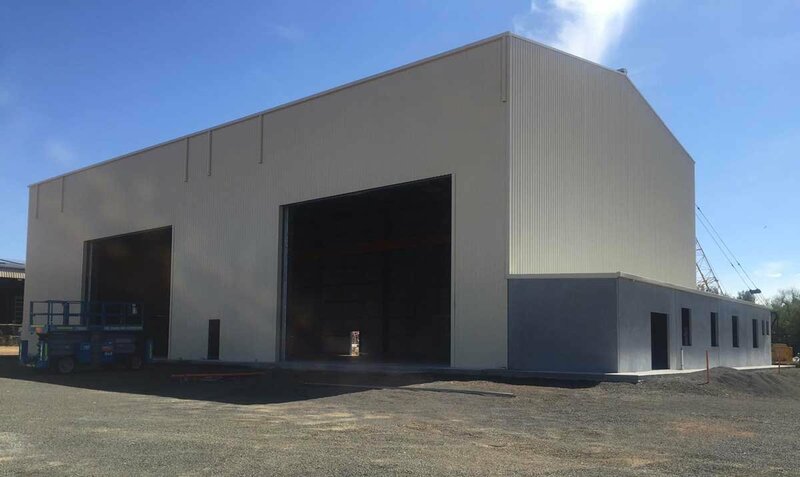 Due to the specialised requirements the design included high clearance, engineered strength in the building to support two 32 tonne overhead cranes allowing them to lift together and two 7.5m high x 10m wide custom roller shutters on the side walls for access of mining tipper trays. 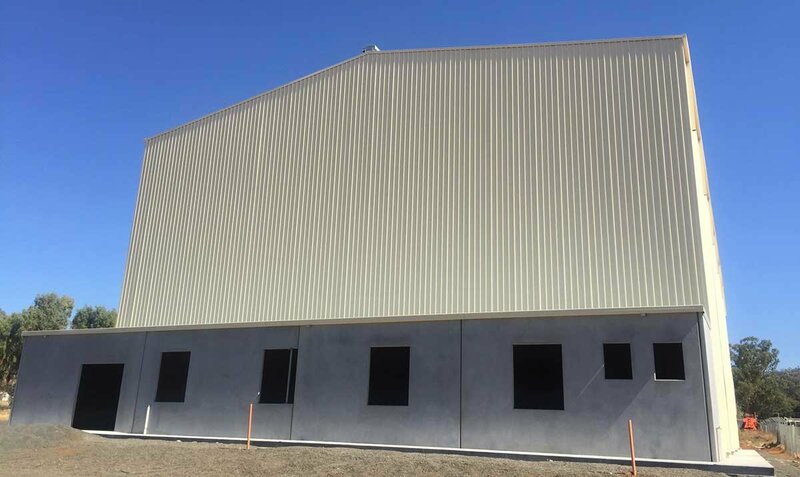 Black steel was used throughout the workshop topped with Monoclad roofing. 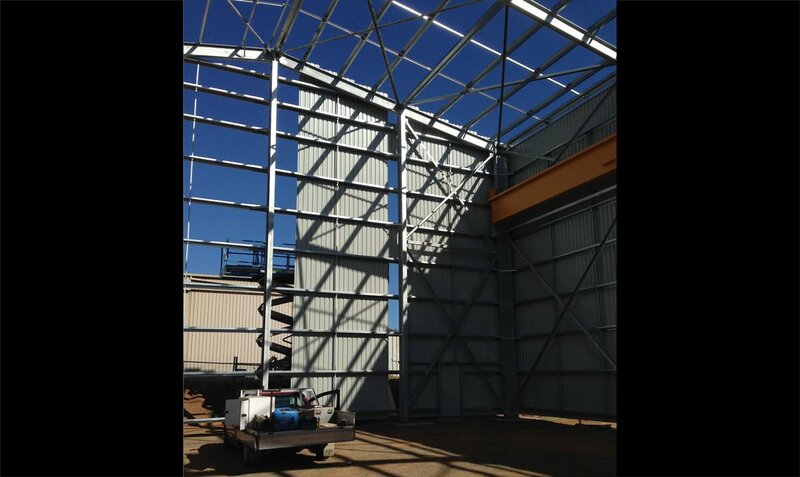 The final design resulted in a building that is 22m span x 44m long and 12m at the eaves. 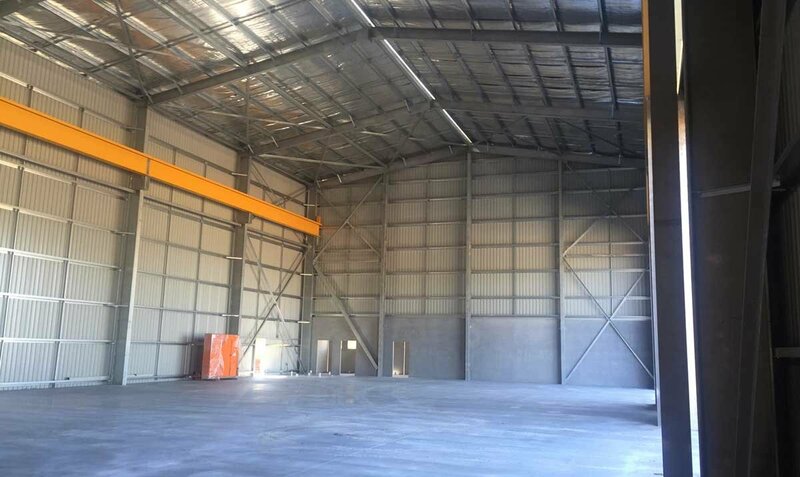 The office is located at the front of the building 22m x 4m wide x 2.7m high and is constructed from precast concrete as well as a precast concrete wall to separate the offices from the workshop area, assisting with soundproofing and serviceability.